If you like to buy a new car regularly, then you want to make sure your existing car retains high value so you can recoup your investment or ensure a good deal through part exchange. 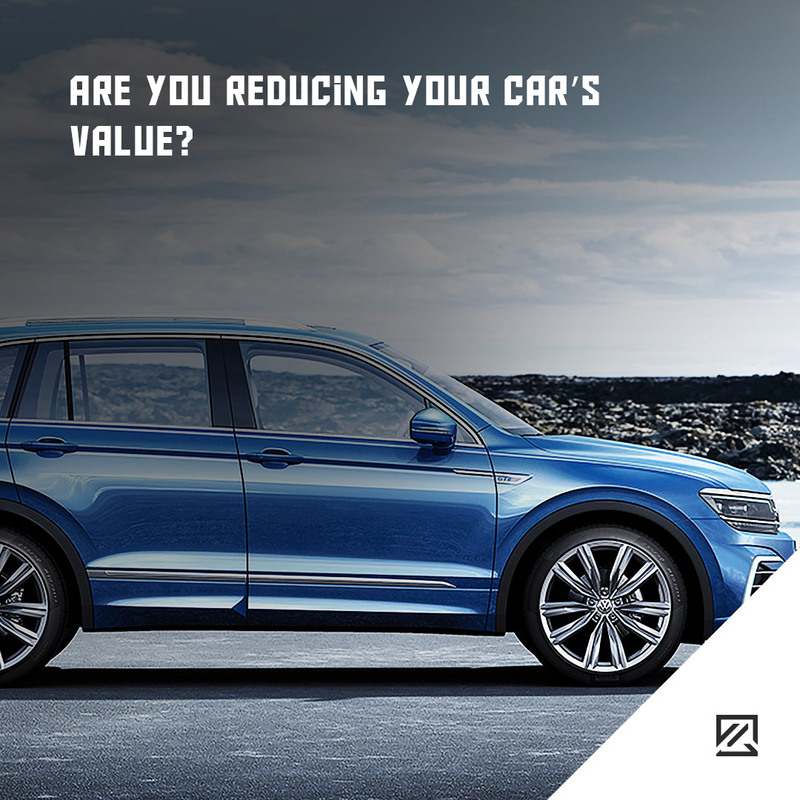 However, many people are dramatically reducing the value of their car, without even realising. Here are just some of the ways you could be slashing the value of your vehicle, which could affect your position to buy in the future. Smoking in your vehicle is not only bad for your health, but the smell and stains seep into the fabric of your car. Smoke leaves a lingering smell that is incredibly hard to remove and causes physical damage too. In fact, smoking can wipe around £2,000 off the value of your car. Smoking does not only get trapped in the upholstery, but it also causes damage to the air conditioning system too. While a professional valet may help, often the interior fabric and cloth need to be stripped out too, costing a serious sum. It is not uncommon for amateur mechanics to save money on repairs by completing them themselves and often using second-hand or non-genuine parts in the process to save even more money. However, using non-genuine parts can significantly reduce the value of the car. Furthermore, the quality usually isn’t as high, causing them to wear out faster, meaning a more expensive bill in the future. Much like smoking, the lingering smell of pets in the car can reduce its value. It can also give the impression that you haven’t taken the best care of your vehicle, especially if the seats are covered in pet hair, and you haven’t tried to neutralise the smell. As a pet owner, you’ll know that pet hair can get everywhere. Cleaning the car thoroughly before selling is vital to remove as much of the odour as possible and to get as much hair out of the vehicle. However, you may be in luck if you’re selling your car to a fellow pet owner. Do you drive your vehicle instead of walking there? Every small journey you complete when you could have used alternative measures starts to increase the mileage. High mileage will significantly lower the value and cause more wear and tear to the parts in the car. Instead, it is wise to seek an alternative method of transport such as car shares, walking and cycling where possible.